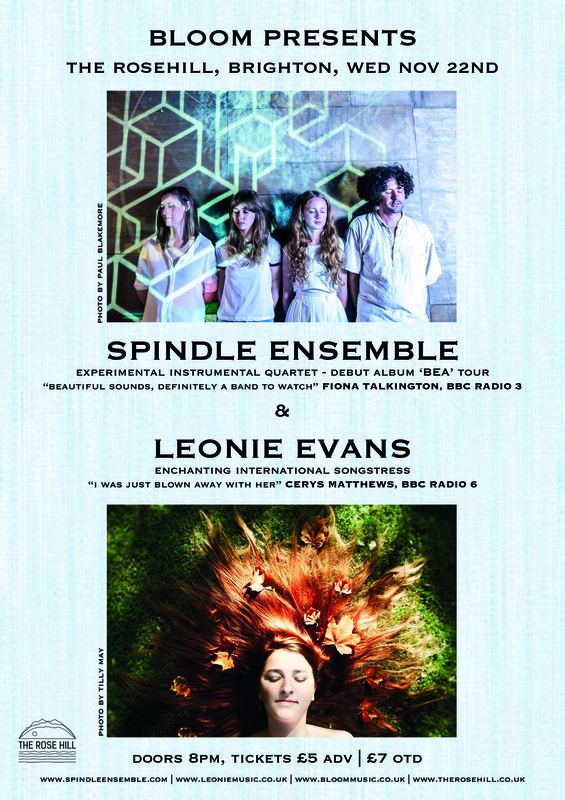 Spindle Ensemble are an experimental instrumental quartet from Bristol’s music collective ‘Bloom‘. They perform original compositions by Daniel Inzani that hover cinematically somewhere between jazz, folk and classical idioms, taking inspiration from artists such as Moondog, Eric Satie and Mulatu Astatke. They are releasing their debut album, Bea, as a luxury gatefold vinyl edition via new label Adderwell Music . They will celebrate the release with a show. Leonie Evans is one of the most impressive artists we have had play at The Rose Hill so we are delighted to have her back again. Somewhere between Jazz and Nu folk, this cat is one inspired minstrel, travelling back and forth from New Orleans bringing the raw blues with her.